Priyanka Thakkar and Manny Chinyumba have been named as Undergraduate Student Government (USG) President and Vice President, leading with 2093 votes despite nearly 200 votes lost to campaign violations. The duo defeated running pairs Dylan DeMoura and Matthew Zancewicz, who held 566 votes, and Fabio Saccomanno and Talha Bhatti, who held 409 votes. Thakkar said she plans to focus on increasing USG’s public image and resolving some of the budgetary issues. 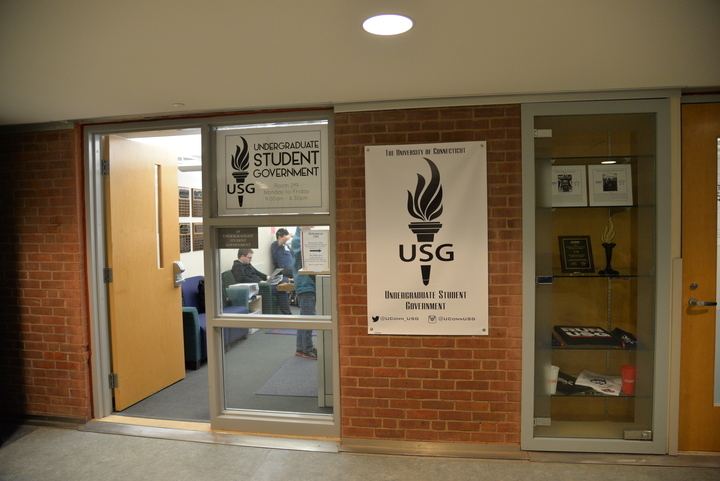 This year’s election was a contentious one, as several campaign violations were filed against both Thakkar and DeMoura’s campaigns, which led to a delay of nearly a month after the polls closed in early March while the USG Judiciary investigated. Demoura and Zancewicz, who also filed several violations against Thakkar, did not reply to a request for comment on Sunday. Dylan Nenadal has also been named as USG Comptroller, running uncontested, and Nandan Tumu was re-elected as the student trustee on the UConn Board of Trustees. and Sarah Hill, with two seats left open. Both Multicultural and Diversity Senate seats have been filled by Rita Tsafack-Tonleu and, Nitya Yelamanchili, and two ACES seats are left open with Sean Roach and Will Schad filling the other two. Alexandra Ose and April Lichtman filled both the Fine Arts seats. Kelsey McCormack and John Mosley took two seats for Engineering, leaving three seats open for the position. Damon Reynolds, Jacqueline Seras, Kevin Perrone and Luis Toscano have filled all four School of Business seats. Currently, the School of Education has one seat open, as does Ratcliffe Hicks and the School of Pharmacy. Two School of Nursing seats are also left open. Generally, seats left open are filled in fall elections, as was the case in fall 2018.